Mozambique Research Papers look at this third world country as the poorest country in the world. This is a topic suggestion on Mozambique from Paper Masters. Use this topic or order a custom research paper, written exactly how you need it to be. Located near South Africa in the southern half of the continent, Mozambique is considered to be a Third World country. Its geographical nature makes it a difficult country to govern from one central location. There are many rivers and river deltas that criss-cross the nation, cutting it into many separate regions. In 1994, it was considered to be the poorest country in the world with a GNP per capita of only eighty U.S. dollars. More recently, however, Mozambique has made some progress and is no longer considered to be at the bottom of the economic list. However, it continues to have economic difficulties. The poverty that exists in this country is not due to a lack of resources. Instead, the economic condition is the result of historical, political, and social factors. Most historians ignore the pre-colonial history of African countries, implying that historical events prior to this time are unimportant. 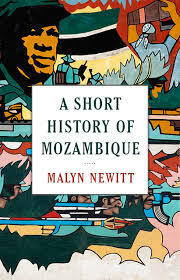 This writer begins this analysis of Mozambique with the arrival of the Portuguese simply because this period of history appears to bear more weight on current conditions. In the 1400's, the Portuguese arrived in the east African country of Mozambique. The primary goal of these Europeans was not to colonize, but rather to establish trading settlements where they could buy gold, ivory, and slaves. In order to protect their products, the Portuguese instituted a protectionist policy to prevent non-Portuguese traders from entering Mozambique. The Portuguese kept a tight control over Mozambique during the entire colonial period. Incredibly, the slave trade continued into the twentieth century. As recently as 1912, records indicate that millions of slaves had been exported. Forced labor was introduced after slavery was abolished. For example, the Portuguese would send citizens of Mozambique to work in South African gold mines and Rhodesia, but Portugal kept all of the miners’ wages. By 1962, a movement for independence developed among the people of Mozambique. It became known as the “Frelimo.” A violent revolution began in 1964. Paper Masters writes custom research papers on Mozambique and look at this third world country as the poorest country in the world.